Scientists may be celebrating the 100th anniversary of Albert Einstein's general theory of relativity, but there was also a death in 1915. It was one of the many deaths of simple and intuitive physics that has happened over the past four centuries. I regularly browse open access website arxiv.org to look for the latest astrophysics research. Real astrophysics, that is. But if I want to take a look at what pseudoscientists are up to, I can browse vixra.org. That's right, "arxiv" backwards. The vixra.org website was founded by "scientists who find they are unable to submit their articles to arXiv.org" because that website's owners filter material they "consider inappropriate". There are more than 1,800 articles on vixra.org discussing relativity and cosmology, and many don't like relativity at all. Perhaps one reason why cranks particularly dislike relativity is because it is so unlike our everyday experiences. But the varying passage of time is nothing like our everyday experience, which isn't surprising as we don't swing by black holes on our way to the shops. Everyday experience is often central to cranky ideas, with the most extreme example being flat earthers. A pivotal moment in relativity's history is Albert Michelson and Edward Morley's demonstration that the speed of light didn't depend on its direction of travel nor the motion of the Earth. Of course, since 1887 the Michelson-Morley experiment has been confirmed many times. Modern measurements have a precision orders of magnitude better than the original 1887 Michelson-Morley experiment, but these don't feature prominently in popular histories of science. Another consequence of the pseudoscientific approach to history is that debunked results from decades past are often used by buttress pseudoscientific ideas. For example, many pseudoscientists claim Dayton Miller detected "aether drift" in the 1930s. But Miller probably underestimated his errors, as far more precise studies in subsequent decades did not confirm his findings. Unfortunately this linear and selective approach to science isn't limited to relativity. It turns up in cranky theories ranging from evolution to climate. Climate scientist Michael E Mann is still dealing with cranky accusations about his seminal 1998 paper on the Earth's temperature history, despite the fact it has been superseded by more recent studies that achieve comparable results. Indeed, it devoured so much of Mann's time he has literally written a book about his experience. During the birth of physics, one could gain insights with relatively simple (and beautiful) mathematics. 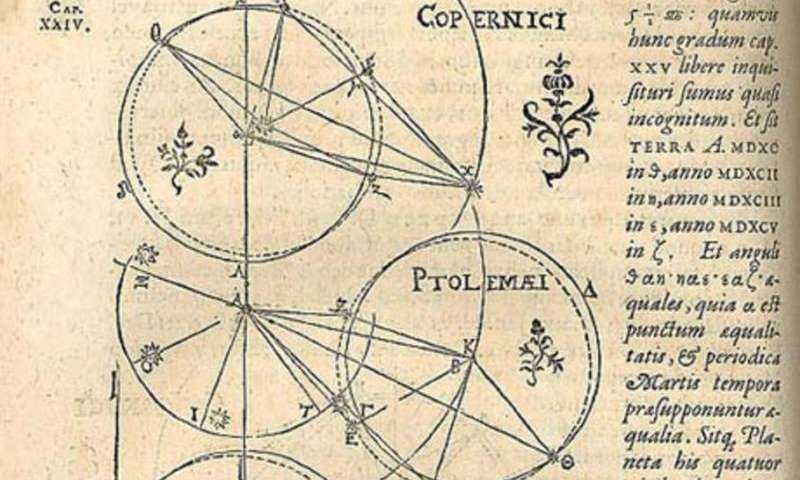 My favourite example is Johannes Kepler's charting of the orbit of Mars via triangulation. Over subsequent centuries, the mathematics required for new physical insights has become more complex, as illustrated by Newton's use of calculus and Einstein's use of tensors. This level of mathematics is rarely in the domain of the enthusiastic but untrained amateur. So what do they do? Another option is arguments by analogy. Analogies are useful when explaining science to a broad audience, but they aren't the be-all and end-all of science. Ardents of the most simplistic pseudoscientific theories often project complexity onto the motives of professional scientists. How else can one explain scientists ignoring their brilliant theories? Claims of hoaxes and scams are commonplace. Although, to be honest, even I laughed out loud the first time I saw someone describe dark matter as a "modelling scam". Again, this isn't limited to those who don't believe in relativity. Simple misunderstandings about photography, lighting and perspective are the launch pad for moon landing conspiracy theories. Naively simple approaches to science can lead to complex conspiracy theories. In the 19th century, Samuel Rowbotham promoted Flat Earthism to large audiences via lectures that combined wit and fierce debating skills. Perhaps in the 19th century a spherical world orbiting a sun millions of kilometres away didn't seem intuitive. During the birth of physics, one could gain insights with relatively simple (and beautiful) mathematics. The easy/obvious stuff is done. It's really quite a bit of work to get to the point where one even understands what things we have learned (and shown by experiment!) that is not in line with simple intuition (e.g. Einstein's revelation was neither simple not obvious - even though it can be written in a very concise/beautiful form. It was the product of a lot of hard work). No. A toddler isn't going to come up with the Next Big Theory. Anyone who banks their money on this would buy an Eiffel tower. Regardless of frankly declarative and manipulative article, GR is wrong for two main reasons. First because it mathematical apparatus do not work with real physical objects such as cosmic vacuum, which have physical properties and limitations. These will exclude from the available options the frivolous idea of infinite elastic space. It works with abstract 3D space without physical properties and limitations. Second because can not be defined physical forces, laws and constants without absolute reference point. Therefore GR is wrong from the begining. GR is the theory of chaos. Without absolute reference point the order is impassible. But we can see a highly ordered universe with precisely tuned fundamental forces and physical constants. So relativity is no where in physical world. It is only in the human mind. Cranks are essentially polemicists, who refute for the thrill of it. But, there's something to be said for Ocham's razor, that the right solution to a problem is invariably the simplest one. Complexity is often introduced to justify far-out theory, and accepted by the card-carrying status quo of old school for the benefit of inclusion. I wouldn't discredit cranks altogether, since some of the greatest discoveries have been made by amateurs. Relativity is an interesting requirement for the perpetuation of reality. Results of mathematical formulas tend to lose precision when the variables are at extremes of scale. The dimensional components of reality exist within some very narrow constraints, much like the visible range of frequencies in the optical spectrum being constrained between the infra-red and ultra-violet. Simple thought experiments can prove the requirement for relativity principles in order for reality to make any sense. In my world view, reality is comprised of three scales, the quantum, the macro, and the colossal, and each have their own set of rules, rules that are necessary for existence. The three scales are mutually precursive, in both directions. I have personally noted, in interactions with scientists (especially those who are trained in physics but not specifically in relativity) that they readily accept time dilation and length contraction of fast moving objects right up to BUT NOT INCLUDING the speed of light which suddenly, in their minds, reverts to a fast moving electron-like object that undergoes no relativistic transformation due to its speed. Likewise, they will accept clocks running slower on Earth when evidence of clocks actually having to run slower in GPS satellites to keep pace with the slower clocks on Earth and accept this clock slowing for astronomical objects right up to Neutron stars, but then revert to the redshift illusion explanation for the phenomena when it comes to Black Holes. Time is frozen at the event horizon of a Black Hole and in the photon's world, the distance between emitter and absorber is zero and the interval to span the distance between them is always zero. Flat Earthers disagree. Notion based on a Victorian finding of 'modern' sea-shells on top of Welsh hills. Their trad' Noachian interpretation was subsequently falsified by discovery that Irish Sea glaciers pushed coastal sediment inland. Besides, wouldn't such a mega-tsunami have scoured all previous sediments, created massive plunge-pools etc etc per the US glacial mega-outflows ?? "GPS utilises general relativity to achieve its amazing precision"
"Ron Hatch is an expert in the use of GPS for precision farming, as well as other applications. Currently a consultant to John Deere, he was formerly the Director of Navigation Systems Engineering and Principal and co-founder of NavCom Technology, Inc., a John Deere company. That company provides a commercially operated differential GPS augmentation service to the agriculture industry and other high accuracy users." But, there's something to be said for Ocham's razor, that the right solution to a problem is invariably the simplest one. That's a bit of a misstatement. The Occam's razor is that out of two -equally- powerful explainations, the simplest is -probably- the correct one. Not invariably. And it's not even about the simplicity of the explaination, but about the number of assumptions it makes. We could be describing a very complex mechanism from few simple assumptions, and it would trump a simple explaination that makes lots of assumptions - for example, Newton's gravity versus angels pushing things around. It's a heuristic, not a law of logic. This article had no real content, just general scoffing. The issues he discusses are relevant to special rather than general relativity. There is a flat-space rather than warped-space formulation to general relativity which is not only consistent with all observations but also easier and which handles black holes and quantum mechanics much better than the usual way of doing things. This theory, gauge theory gravity using Clifford algebra (see Doran, Lasenby et. al. ), basically treats space as having a variable refractive index, which is to say that light moves more slowly in a gravitational field. The curved space formulation achieves the same effect by turning pi into a variable, or equivalently saying that circular orbits are actually less than 360 degrees (this is the explanation for the precession of Mercury's orbit.) Any theory which turns pi into a variable has some shortcomings. "Why is Einstein's general relativity such a popular target for cranks?" It's simpler than you think, the "cranks" are unable to follow the Differential Equations, so they make fun of those who can work with them...............HERE THEY COME (the cranks).